The K5MOT Amateur Radio Club of North Texas, in cooperation with the National Weather Service (NWS) office in Fort Worth, supports Internet Radio Linking Project (IRLP) node 3747 on the 444.300 repeater. The 3747 IRLP node is currently open for use by all licensed amateur radio operators. Use the standard IRLP method to connect to remote nodes by sending the 4 digit remote node number with your radio DTMF pad. To disconnect, send "73" on your DTMF pad. Any remote node may also connect to node 3747, unless a control operator has disabled the node or otherwise limited IRLP connections. If you have never talked over an IRLP connection, please review the links below. One important tip to remember, pause for a second after you key the MIC before you speak. This allows the connection to complete across the network and helps avoid dropping syllables or words from the start of your transmission. The following DTMF code list controls features of the K5MOT IRLP system. IRLP DTMF controls will be prefixed with a DTMF hash (#), except for 73 and when calling node numbers and reflectors where no hash (#) is required. nnnn Connect to IRLP node or reflector number "nnnn". #0 Play audio help information for IRLP and # prefix controls. #1 Say node status, e.g. link clear, connected, etc. Here are some questions and potential answers about IRLP operation under certain conditions. Q. Why doesn't the disconnect control (73) work when a radio operator on the remote Internet link is transmitting on the local system? A. The IRLP computer/radio/Internet link operates in simplex mode, so the local IRLP computer is not decoding received DTMF controls while the remote IRLP radio operator is transmitting. Wait for the remote operator to stop transmitting, then send the DTMF control tones. This is another reason we must pause more between transmissions while connected to a reflector, so as to allow other nodes to disconnect. We may add the capability control the local node computer via full duplex operation later. The radio/computer interface is capable of this operation. But the Internet link will continue to operate in simplex mode unless node owners and users provide a reason to change the IRLP system to full duplex operation. Q. What timeouts could occur? A. The following are timeout limits for IRLP operation. PTTLOCK timeout - 5 minutes. This is the maximum time the IRLP node radio will continuously transmit locally from a remote IRLP connection. Upon exceeding this timer, the node connection is dropped and reset. A timeout audio message is played on the node transmitter. CORLOCK timeout - 4 minutes. This is the maximum time the IRLP node will continuously transmit received audio to a remote node. If a radio operator transmits to an IRLP node receiver with an active connection for more than 4 minutes, this timer will trigger. Upon exceeding this timer, the connection will be dropped and the IRLP node will be disabled. A timeout audio message is played on the node transmitter. A node control operator will have to re-enable the node after this timeout. Node to node local inactivity timeout - 4 minutes. This timeout may be set by each node owner/operator. Node 3747 is set to 20 minutes. For node to node connections, when a node receiver does not receive any local transmissions (no COS activity) during this timeout period, the IRLP connection is dropped and both nodes reset. A timeout audio message is played on each node indicating "inactivity timeout". One scenario that may trigger this timeout is when a group of radio operators are talking in a round table fashion across a node to node connection. If the sequence of operators taking turns to transmit does not move back and forth between the two nodes within the timeout period, one node may drop the connection for inactivity. This happens quite easily for the default 4 minute timeout period. So be careful to go back and forth between the two nodes, or use a reflector channel to minimize hitting this timeout on either node. Node to reflector local inactivity timeout - 20 minutes. This timeout may be set by each node or reflector owner/operator. Node 3747 is set to 20 minutes. We also have DTMF control codes to disable this timeout for selected reflector channels. For node to reflector connections, when the node receiver does not receive any local transmissions that are sent over the IRLP connection during this timeout period, the IRLP connection is dropped. A timeout audio message is played on the node indicating "inactivity timeout". The reflector operator may also impose their own timeout, which would override the node setting if the reflector timeout is shorter. Timeout Loop. During an active connection, the IRLP software monitors the network connection by regularly passing a status packet between the two nodes. If this status packet is lost two times sequentially, the connection is considered lost and the node is reset. An audio error message should be heard from the node radio when this occurs. EchoIRLP is a project with a goal to share hardware and software resources for IRLP and EchoLink systems. The EchoIRLP Yahoo Group explains this project in more detail. Software is installed that allows the IRLP node system to connect to EchoLink network nodes. The software we have installed on the K5MOT IRLP node is referred to as the "EchoIRLP" project. does not allow you to cross connect the IRLP and EchoLink networks together. does provide the K5MOT IRLP node access to available EchoLink clients and conferences. does allow EchoLink clients to connect to the K5MOT-R EchoLink node number 119161. Note, we are currently filtering EchoLink PC client nodes that connect to the K5MOT-R system. EchoLink repeaters, links and conferences are not filtered. Outgoing connections from K5MOT-R are also not filtered. This was implemented due to the number of silent connections, mostly from EchoLink PC clients. If your EchoLink connection to K5MOT-R is rejected with a "not allowed" message, then your EchoLink client node is being filtered. 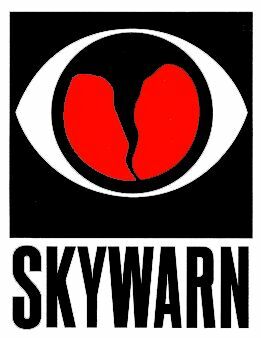 If you have a valid reason for your EchoLink PC client to connect to K5MOT-R, such as to support the Fort Worth NWS and SKYWARN activities or the K5MOT ARC, please contact us using the contact page. The following DTMF code list controls the operation of the K5MOT-R EchoIRLP node. You will see the operation is very similar to using IRLP. General EchoIRLP controls would be prefixed with *. This insures EchoIRLP node numbers are differentiated from IRLP node numbers. Contact the node operator/controller, with any questions or problems. 73 or # Disconnect from node, reflector or conference. The (*) prefix is optional. The common EchoLink "#" DTMF code will disconnect too. *nnnn Connect to EchoLink node number. Note: try using DTMF (A) if the (*) prefix tone does not seem to be working. You must send all digits without un-keying or dropping out of the repeater. Or, list the area EchoLink nodes from the node status search page. We also operate a special server that provides a combined experimental IRLP Reflector, node no. 0027, and Echolink conference, K5MOT-L node no. 119160. This conference is open for any one to connect. IRLP node owners will need to allow connections to experimental IRLP Nodes. This is accomplished by adding export ALLOW_EXPERIMENTAL_NODES=YES to their IRLP environment configuration file. This server is similar to the *WX5FWD* / 0010 conference, which is described on the WX5FWD.ORG site.